Advisors have been racing to revamp their practices in light of upcoming new client relationship management rules. WP gathered a group of industry veterans to sound off on the new regulations known as CRM2. The panel discussed the impact the new regulations will have on advisors, how firms will implement them and what these changes mean for advisors. As the industry gets set to move ahead, here is what the experts want you to know. The panelists. Click on the image to enlarge. WP: How do you, the advisor, feel about CRM2 and the second phase implemented in June? Arthur Charles Salzer: As a wealth management firm we welcome the enhanced transparency that CRM2 provides. Investors should know the full cost of their investment products and services. Many Canadians are invested in these products by their advisors, but don’t clearly understand their full cost. CRM2, once fully implemented, will help investors better understand the trailing commissions and deferred sales charges associated with holding these products. This should lead to some frank discussions between clients and their advisors. Matthew J. Ardrey: Our platform is mostly through pooled fund solutions, ETFs, or by direct hire of money managers. We already disclose benchmark information through our investment policy statement. We fully disclose all costs to the client and report quarterly on performance against benchmarks. So if you ask how I feel about CRM2, I can say I feel happy that the industry will finally be required to provide the information necessary for our clients to make informed investment decisions. I welcome the transparency that this is bringing to our industry. WP: What is your firm’s position on CRM2? William Britton: The impact of the changes being implemented in June should be minimal. The required disclosures are, for the most part, already included in applications, forms, and point of sale documents, and there is already an expectation for advisors to be reviewing such details with their clients. Changes in 2015 and 2016 will be more significant and warrant a focus on fee discussions at present. There is no need to be unduly concerned. They plan on communicating regularly and providing the tools and information necessary to thrive in the new environment. For some investment representatives, this will be a great opportunity to articulate their value and win business. Lisa Thompson: I know that RBC Wealth Management is in full support of these rules, given that they will result in a more positive experience for the client. They are intended to improve disclosure and transparency for clients with respect to products, fees and rate of return reporting. Clients will have a better understanding of the value they are receiving for their fees. WP: How has your firm adapted to the regulatory changes? Salzer: We are still adapting as we prepare for the changes scheduled to occur in 2015 and 2016. So far, the only impact on our firm has been providing enhanced regulatory disclosure information to clients. The big changes are happening behind the scenes as we work with our portfolio management systems service provider to ensure that we have the technology in place to meet our enhanced client reporting obligations. Our business practices haven’t changed as a result of CRM2 yet. We still deal with clients as we always have. Our client on-boarding and disclosure documents have become more robust, but only slightly. The only significant changes we foresee to our business practices is the way we will be presenting investment performance and client statement information to clients. However, these are more changes in back-office operations than in business practices. We will still evaluate potential investments for our clients’ portfolios, assess our clients’ risk tolerance and come to an understanding of our clients’ investment objectives the same way. These are our practices—this is where we add value to our clients. These practices won’t change. What will change because of CRM2 is how we account for what we have done for our clients, how we explain it to them in their client statements, how we performed in providing our services and what these services cost. Ardrey: We are implementing minor changes that need to be made to our reporting. For example, we provide returns on a time-weighted basis as a way of comparing to the relative index. We will now need to provide returns on a money-weighted basis as well. WP: What has been the reaction from clients? Salzer: We haven’t informed clients of the upcoming significant changes as they are still more than a year away from implementation. Generally, clients have become accustomed to increased regulatory requirements over the past decade and understand that we operate in a highly regulated environment. Thompson: I believe the greatest benefit with CRM2 is that it will facilitate a high level of transparency for Canadian investors, helping them better understand products, fees and rate of return reporting. Common standards across the competitive landscape will create a more even playing field for advisors and firms. 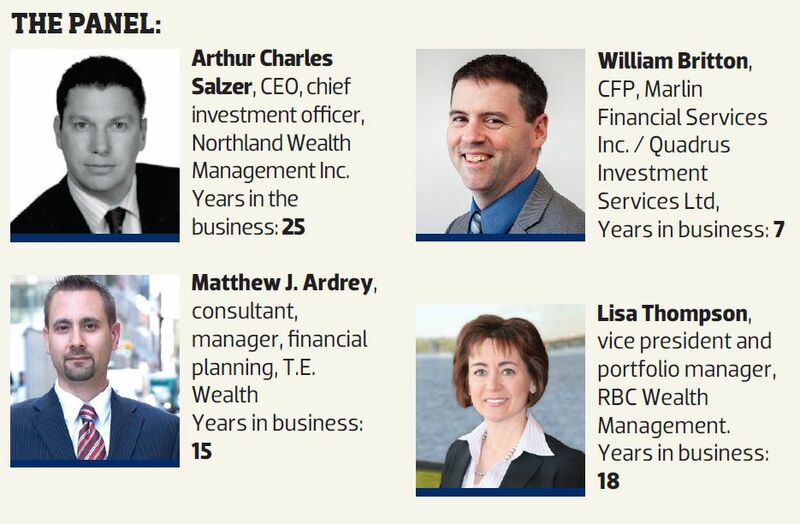 This feature is from Wealth Professional Canada's Issue #2.3. To read more, please download the issue.